4. 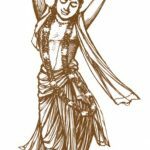 How many kirtans were composed by Thyagaraja ? 5. Who is known as the “Father of Carnatic Music”? 6. What is the mudra (signature) in Purandara Dasa’s compositions? 2 Responses to "Kid’s Quiz — Music Composers"
Very good quiz especially for the students in music.